Happy Bloggers Challenge Friday! Thanks to those who played along with the Stencils Challenge, the challenge this week is Flowers. Here's some flowers I've been creating with Our Daily Bread Designs Pretty Posies Dies. 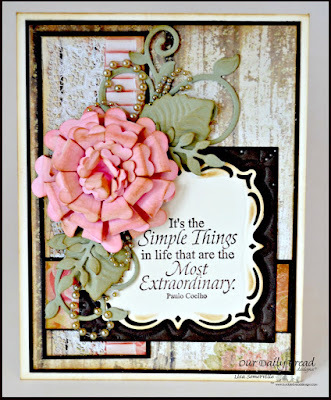 Inspired by this sketch, I used stamps, dies and pattern paper from Our Daily Bread Designs to create my card. 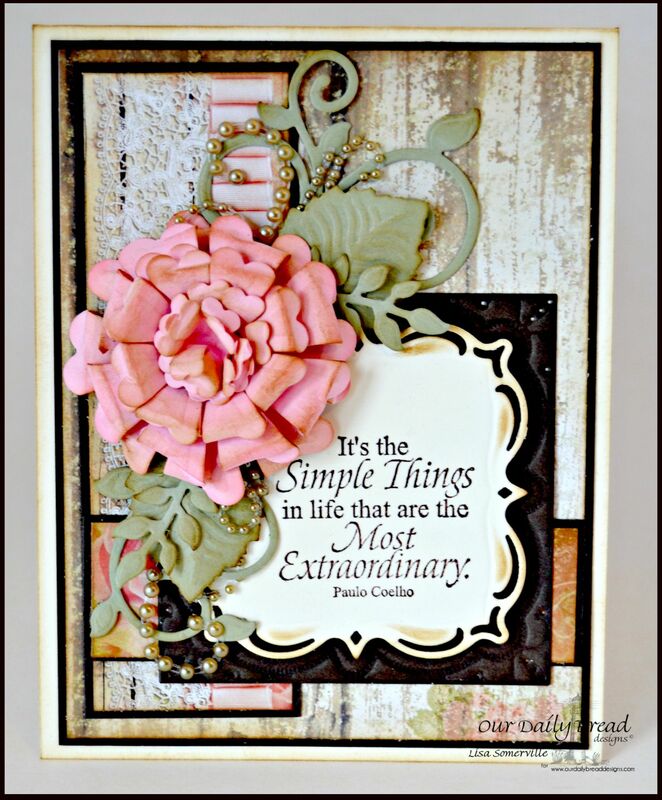 If you would like to play along with this weeks Bloggers Challenge, please link back to this post on your blog and mention you created your card for the Bloggers Challenge Flowers Challenge. Please add your link using the Link Tool below, your link should be a direct link to your Bloggers Challenge Post, use your name as the Title. Please do not link to cards that were created prior to the challenge date. Entries not linking properly, or backlinked will be removed. If you have the captcha enabled on your blog, please consider turning it off, as it makes it so much easier to leave comments. That is gorgeous! A Beautiful flower!! And I love your completed creation with it. Just fantastic!! Wow!! Thanks for another fun challenge! Gorgeous flower! Looks awesome on your card. Love those colors! Love the GORGEOUS PINK FLOWER on your lovely card !!! This is so beautiful! Love every element, especially the flower!